Storefront for Art and Architecture presents the launching of Writing the City into Being: Essays on Johannesburg 1998-2008 with a series of interrogations between the author and different scholars including Mabel O. Wilson, Alicia Imperiale and Helene Furján about Johannesburg and its urban transformations during the last decade. 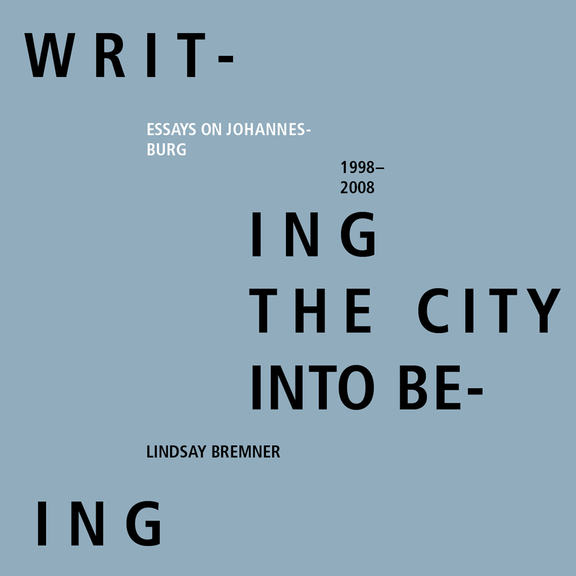 Writing the City into Being is Bremner’s long-awaited collection of essays, spanning more than a decade of work on Johannesburg. It is both an unflinching analysis of the characteristics of an extraordinary city and a work of imagination – a bringing of the evasive city into being through writing. Johannesburg has become a touchstone in critical thinking on the development of the twenty-first-century city, attracting scholars from around the world who seek to understand how cities are changing in the face of urban migration in all its myriad forms and the inflow of foreign capital and interest. Bremner is at the forefront of this scholarship. Her intimate knowledge of the city makes this a deeply personal but authoritative collection of essays. Writing the City into Being is an important book for those seeking to understand cities in a rapidly changing and fragmenting world. Lindsay Bremner is an extraordinary guide to the city of Johannesburg, and one of its most incisive commentators. Lindsay Bremner is Professor of Architecture in the Tyler School of Art at Temple University in Philadelphia. She is an award-winning architect and has published, lectured and exhibited widely on the transformation of Johannesburg after the end of apartheid. Her published work on the city include Johannesburg: One City Colliding Worlds (2004), chapters in Johannesburg – the Elusive Metropolis (2008), The Endless City (2008), Desire Lines: Space, Memory and Identity in the Post-Apartheid City (2007), Future City (2005), Under Seige: Four African Cities. Freetown, Johannesurg, Kinshasa, Lagos (2002), blank___architecture apartheid and after (1998) and contributions to Domus, Public Culture, Social Identities and Cities. In her design work, Bremner takes on projects having a socially or culturally transformative agenda, such as her second placed entry to the Freedom Square Competition (with Mashabane Rose Architects, 2002) and the Sans Souci Cinema project in Kliptown, Soweto (with 26’10 South Architects, 2004 – 2007). The latter was awarded a special prize in Bauwelt Magazine’s First Work Competition in 2010. Bremner’s current research, Folded Ocean: Mutating Territories in the Indian Ocean World is investigating the impact of global mobility, trans-nationalism and environmental change on the human settlements of the Indian Ocean. This will be published in 2A and as a chapter in Writing post national narratives: other geographies, other times in 2011. Bremner was formerly Chair of Architecture at the University of the Witwa-tersrand in Johannesburg. She holds a B.Arch degree from the University of Cape Town and M.Arch and DSc.Arch degrees from the University of the Witwatersrand. Helene Furján is an Assistant Professor in the Department of Architecture at PennDesign, University of Pennsylvania, where she is Director and a founding editor of viaBooks, Director of the Conversations Series of interdisciplinary debates, and Chair of the Architecture Lecture Committee. She has had essays and reviews published in journals including Gray Room, AAFiles, Assemblage, Casabella, Journal of Architecture, JAE, ArtForum and Interstices. She published Crib Sheets: Notes on the Contemporary Architectural Conversation with Sylvia Lavin (2005), and has chapters in Intimate Metropolis (2008), 306090: Models (2008), Softspace (2006), Gen(H)ome (2006), and Performalism: Form and Function in Digital Architecture (2008). ‘Glorious Visions': John Soane’s Spectacular Theater is forthcoming through Routledge in 2011, and she is working on a new book with Linda Taalman and Roland Woolroos-Ritter investigating the history of the diagram. Her current research investigates effects, spectacle, perception and affect in the history and contemporary practice of architecture, and the organisation and interdisciplinarity of urban systems. Alicia Imperiale is Assistant Professor of Architectural History/Theory and Design at the Tyler School of Art, Temple University. She is a Ph.D. candidate at Princeton University (2011). Her dissertation is based on the theoretical projects of Italian architect Rinaldo Semino and contextualises Semino’s work in a larger milieu of megastructural design, cybernetic studies and radical political events in Italy from 1958-73. 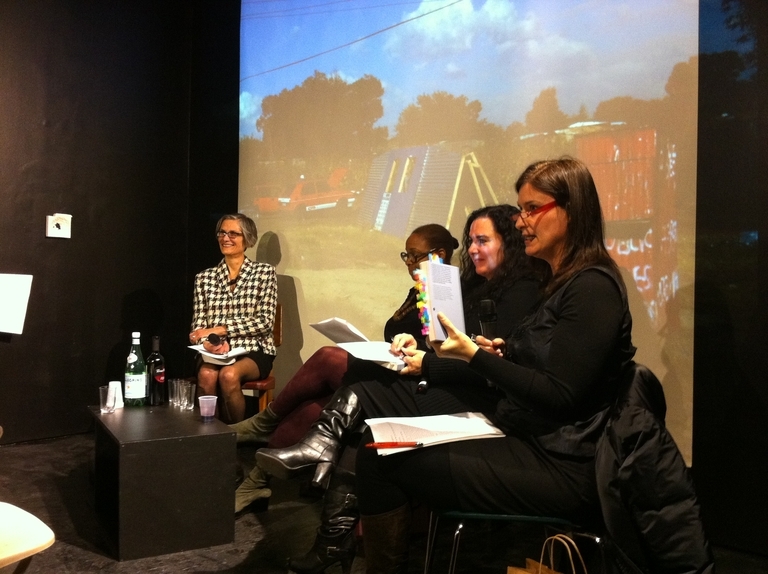 Her essay ‘Organic Italy: The Troubling Case of Rinaldo Semino,’ was recently published in Perspecta 43: Taboo (Yale University Journal of Architecture, MIT Press, 2010). In relation to her work on the politics of the 1960s, Alicia is a co-curator of the exhibit Clip, Stamp, Fold: The Architecture of Little Magazines 196X-197X. She is a contributor to the recent book of the same name published by Actar/Birkhäuser, 2010. Her design and written work focus on the impact of digital technologies on art, architecture, representation and fabrication. This research is presented in her book New Flatness: Surface Tension in Digital Architecture (Birkhauser, 2000). 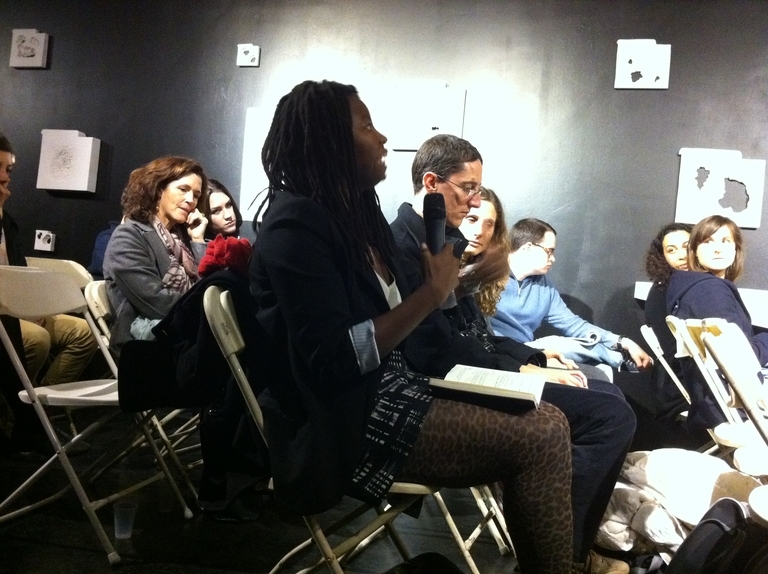 Other published essays include ‘Digital Skins: Architecture of Surface’ in SKIN: Surface, Substance and Design (Princeton Architectural Press, 2002), ‘Fluid Alliances: Architecture, Politics and Fetish Post 9/11′ in LOG 1, ‘Territories of Protest,’ in LOG 13/14, and ‘Seminal Space: Getting under the Digital Skin,’ in RE: SKIN, ed. Mary Flanagan (MIT Press, 2006). She has also taught design and visual theory at Southern California Institute of Architecture, Pratt Institute, Columbia University, Cornell University and Parsons School of Design. She holds a B.Arch from Pratt Institute, an MFA in Combined Media from Hunter College and an MA from Princeton University. She was a Van Alen/Dinkeloo Visiting Fellow at the American Academy in Rome in 1988. 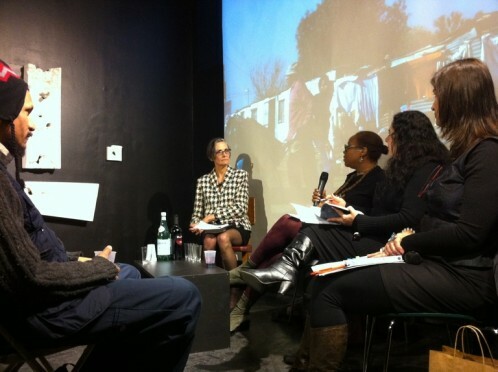 Mabel O. Wilson navigates her multidisciplinary practice 6Ten Studio between the fields of architecture, art, visual cultural analysis and cultural history. Her design experiments and scholarly research investigate space and cultural memory in black America, race and visual culture, and new technologies and the social production of space. She is currently completing the book Progress and Prospects – Black Americans in the World of Fairs and Museums (forthcoming University of California Press.) She teaches at Columbia’s GSAPP where she directs the Advanced Architectural Research program. This publication was sup¬ported by the Graham Foundation for Advanced Studies in the Fine Arts.